School policies for young English learners (ELs) have historically prioritized language acquisition as a means to achieve content area success. But new studies are showing that instruction in math, science, and social studies can help ELs develop critical literacy skills, too. 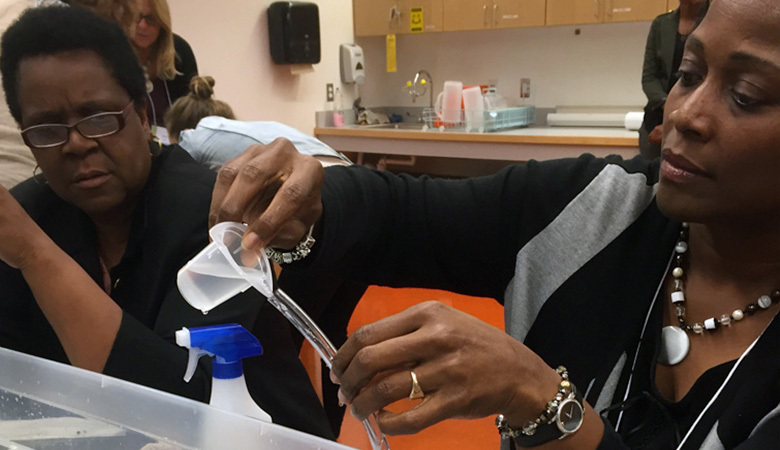 EDC’s Literacy and Academic Success for English Learners through Science (LASErS) project is applying this content-rich approach in Hartford, Connecticut, a city where 18 percent of students identify as ELs. By using science as a context for language learning, LASErS works to boost the academic success of pre-K through grade 1 ELs in the city.